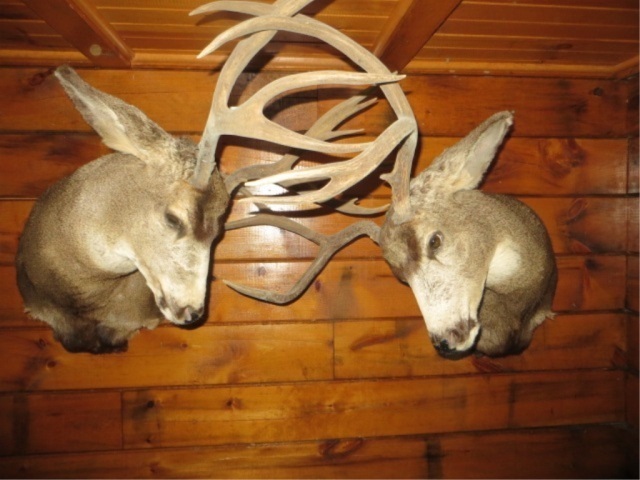 Online Taxidermy and Mounts - Lambrecht Auction, Inc. Online Taxidermy and Mounts - Lambrecht Auction, Inc.
We have been commissioned by the National Rifle Association to sell the following mounts and taxidermy that was bequeathed to them by a single estate. All net proceeds from this auction go to benefit the NRA Foundation and its charities and grants. Shoulder Mounts: Bull Moose ~ North American Buffalo (Bison) ~ Cape Buffalo ~ several Elk including some real monsters ~ Several Mule Deer ~ Several Whitetail Deer ~ Caribou buck ~ Pronghorn antelopes ~ Axis Deer ~ Zebra on pedestal base ~ African Gemsbok antelope~ African Waterbuck ~ African Impala ~ African Kudu antelope ~ Red Stag ~ etc. Plus: Moose & caribou antlers ~ pair of antler table lamps ~ pair of antler floor lamps ~ Heritage 44 gun safe ~ 12’ aluminum row boat ~ feed plot cultivator ~ Sweeny feeders ~ seeders ~ grills & smoker ~ turkey decoys ~ propane heater ~ toboggans ~ tablesaw ~ wheelbarrow ~ etc. 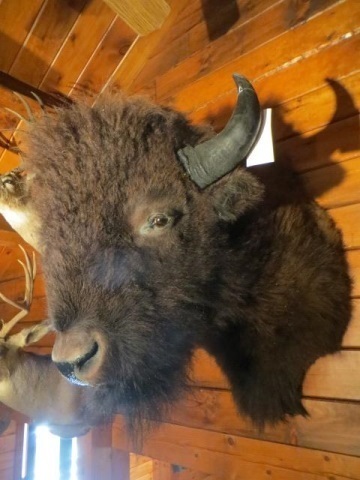 Preview: Items can be inspected in person on Monday, December 10th 9am-5pm at our Bainbridge Auction Facility (151-153 County Hwy 38, Bainbridge, NY 13733 – the white building). Pickup: Payment and pickup is Saturday, December 15th and Monday, December 17th, 9am-4pm both days at the Lambrecht Auction Facility, Bainbridge (the white building). Cash, Checks, or Credit Cards are accepted forms of payment. 10% Buyer Premium if paying by cash or check, 13% if paying by credit card.